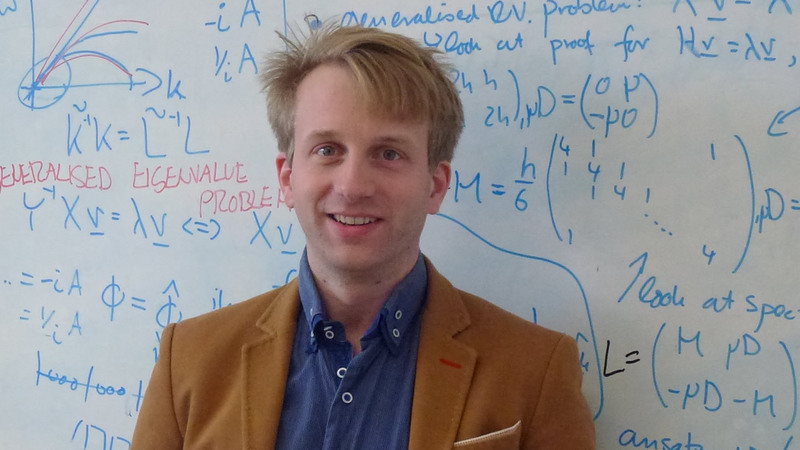 Dr Eike Müller has been awarded a Fellowship by the Software Sustainability Institute. Eike works with the Met Office on the implementation of novel solver algorithms. The Software Sustainability Institute has appointed 17 Fellows to take forward their plans to improve research software and make a difference in their research domains. Eike develops research software for several interdisciplinary projects in High-Performance Computing. He works with the Met Office on the implementation of novel solver algorithms in the UK's next generation climate- and weather-forecast model. As a lecturer in the Department of Mathematical Sciences he advocates the use of good software engineering practice, for example by training new PhD students in the use of version control systems. With the help of the Fellowship he will further expand this training activity across the University and beyond. Eike commented: "More and more research is based on complex computer simulations. The recent establishment of a new Research Software Engineering post at the University shows that good practice in software development is crucial to produce high quality scientific results. I'm looking forward to work with the Software Sustainability Institute to further improve the research computing infrastructure and training of the next generation of computational scientists." Eike will be blogging about his activities on the Institute's blog so the wider community will be able to benefit from his and the other Fellows' activities and insights.